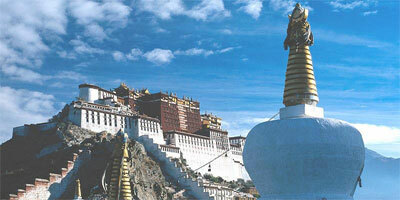 Tibet Mount Kailash Tour is a pilgrimage tour to the holy Mt. 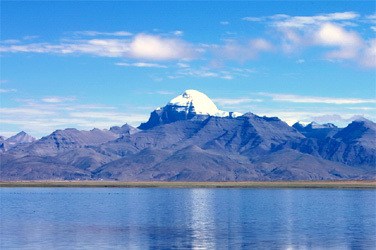 Kailash and Lake Manasarovar. 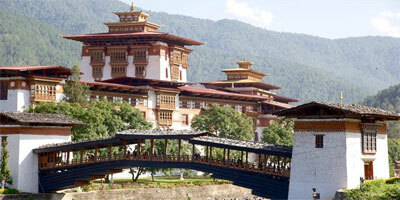 It is possible to enter the Tibet from Mainland of China or travel though the Kathmandu (Nepal) by Plane and overland. Mount Kailash (6714 m) - also known as Tise, Kailasa or Kang Rinpoche (Jewel of the Snows) has since time immemorial been celebrated in many eastern cosmologies as Mt. Meru, the axis-mundi. As the center of the physical and metaphysical universe, Mt. Meru (Kailash) is sacred to the Hindus, the Buddhists, the Jains, and the Bonpos. 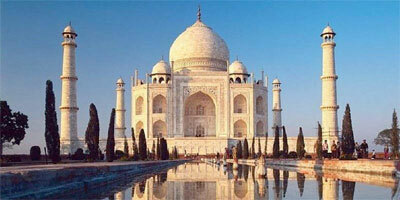 For the Hindus, the mountain represents the seat of Shiva. For the Buddhists, a terrestrial projection of the cosmic mandala of the Dyani Buddhas and Boddhisatvas .… the wheel of Life. For the devout pilgrim a visit to Mt. Kailash and Lake Mansorovar forms the ultimate realization of their spiritual pursuit. And for the adventure-lovers it offers rugged beauty, remoteness and solitude. Each year, the month of June hosts the delightful Saga Dawa Festival while most of the other trips are planned to arrive at Mt. Kailash during the full moon period to give all participants a rare experience. 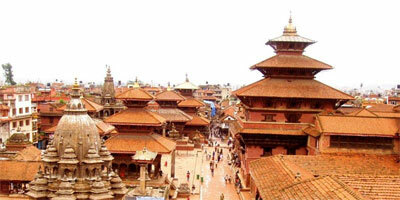 A journey rightly called `once-in-a-lifetime'. Mount Kailash and Lake Mansorovar tour itinerary is possible to make drive in and out from Nepal Tibet border (Kodari) but after 2015 earthquake the Kadari border was closed so Nowadays Mount Kailash tour only possible to operate from Lhasa (Tibet) to Lhasa means you need to fly Lhasa from Kathmandu or enter Lhasa from mainland of China. The Lhasa to Mount Kailash tour is providing an opportunity to explore the Lhasa city, Holy Mount Kailash and Lake Mansorovar at once. We are the leading and pioneer Tibet tour operator equipped with experienced man power, contacts and resources to handle all the logistics of such a tour. Our support staffs are strong, hardy Sherpas who have been several times to Mt. Kailash and have a reputation of hospitality that is now an established legend. We welcome you all to experience the bliss and magic of being at Mt. Kailash and Lake Manasorovar with us. Day 04: Drive Shigatse – Saga (450km – 9 hours). We start an early morning drive to Saga, please note this will be a long drive but on the way we can make enough stop and lunch. Drive back to Lhasa from Shigatse and transfer to Hotel.